Paul Levy had a great post on his Not Running a Hospital blog (formerly Running a Hospital) about signage. Since this is a topic in the human factors realm, I would like to share his post and relay a story from a friend. A couple of days ago my friend visited a local Boston community hospital known for its customer service to have a simple KUB (abdominal xray). She was told to dress in a hospital gown (I will post more about hospital gowns in the future…is having patients all look alike adding or subtracting from safety????) and wait in a waiting area. After almost 60 minutes, she noticed staff hanging around the desk and talking and laughing. Drawn to attention by this, she noticed a small sign near the desk that read “if you have to wait more than 15 minutes please let us know.” She became upset at having spent an extra 45 minutes of her workday because no one had pointed out the sign or the policy. Clearly this hospital had identified some glitches in its process to post this sign. While we want to involve patients, it should not be their responsibility to monitor their wait time. Why not just scan your waiting room 4 times an hour and mark who is there on a dry erase board? Employees can have all sorts of visible reminders to do this. Also notify the patients that your goal is to see them in 15 minutes from their check in time. Most people probably never even see the sign. With another recent case of a kidney transplant mix-up (luckily causing no harm to the patient) we really have to redefine our hospital processes. We have to involve the patients but by the time the process ends with them, we need to make sure we have made enough hard stops that an error will never reach them. Some people will report that if the patient helps to stop the error then the redundancy system works. And signs probably won’t do much good unless they are reviewed and explained. In most cases signs should be a reminder and a redundant communication, not a primary communication. An error being stopped at that level should be a VERY rare occurrence. Also to consider is a study by Davis, Sevdalis & Vincent (2011) which found many patient in the UK reluctant to engage in safety behaviors that became more challenging in nature to a doctor or a nurse. 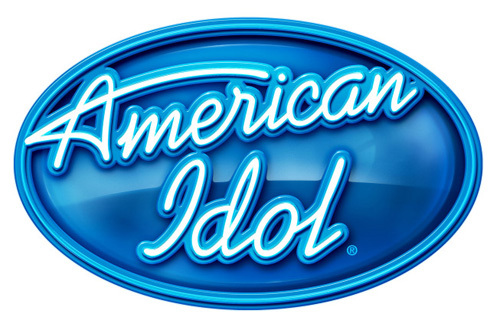 For fans of the show American Idol, this season should prove to be a good one. Gone are the cookie cutter pretty-people contestants of past seasons. This year there is a diverse group of entrants one of whom actually played a “big bass” on the show the other night in an inspired performance. To hear a well known song, played and sung with such originality can almost move the audience and the judges to tears. It is the creativity of humans that endears us and allows us to survive as a species. Often heard advice from the judges is that while song choice is key, making it your own is what puts you ahead of the pack. What does this have to do with patient safety? I would like to compare a song to a patient safety practice. There are so many organizations now from which an organization can view some best practices for safety. Why do we then still have studies coming out with less than stellar improvements in the past decade of the patient safety movement? Could it be because the song choice was there but the applicable originality was not? Perhaps we need to take each standard safety process and truly make it our own…adapt it to the culture, adapt it to the patient population and the values of that population, and simplify the process considering how things flow in your organization. Really make it your own and it just might win you some safer outcomes. Just because it “worked” in one environment does not guarantee success in yours. Global patient safety alerts website from our friends up north. 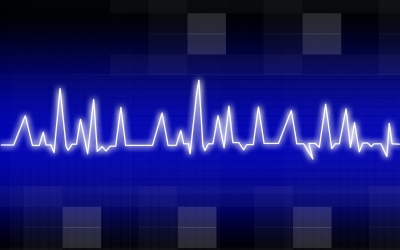 interview with CEO of Patient Safety Technologies. TWST: How unique is the Safety-Sponge System? Mr. Stewart: The Safety-Sponge System is a patented, proprietary product exclusive to SurgiCount Medical. It is distributed exclusively through Cardinal Health (CAH), but it is available to any hospital through their current distribution partners. The product is a very straight-forward application of automatic identification technology that addresses the underlying cause of the vast majority of retained sponges – human error. Before and after every surgical procedure, all surgical articles used, including sponges, are counted to make sure that they are not unintentionally left inside the body. Our solution tracks sponges, the most difficult and problematic articles to account for, down to the individual level by adhering a simple, unique identifier to each one. Used in conjunction with a small handheld scanner, we call it the SurgiCounter, the system allows for more accurate counts prior to the patient being closed. While this is great, I propose to take it even further…invent something that attaches to the sponges like a lifeline so they never get hidden in the first place (then count them using the technology as a backup). I also propose the companies look at making syringes and other equipment with small caps and pieces more pedi friendly by attaching the caps and small pieces. This can prevent the nurse or MD from inadvertently dropping a piece, creating a choking hazard. Inventors: we need you!